August 6, 2009 was my last post? Where does the time go? What a flippin' slacker! But this time of year is always superDEEduper busy and if you read on, I'll tell you all about it and that I may or may not have a very good excuse for not posting more often. 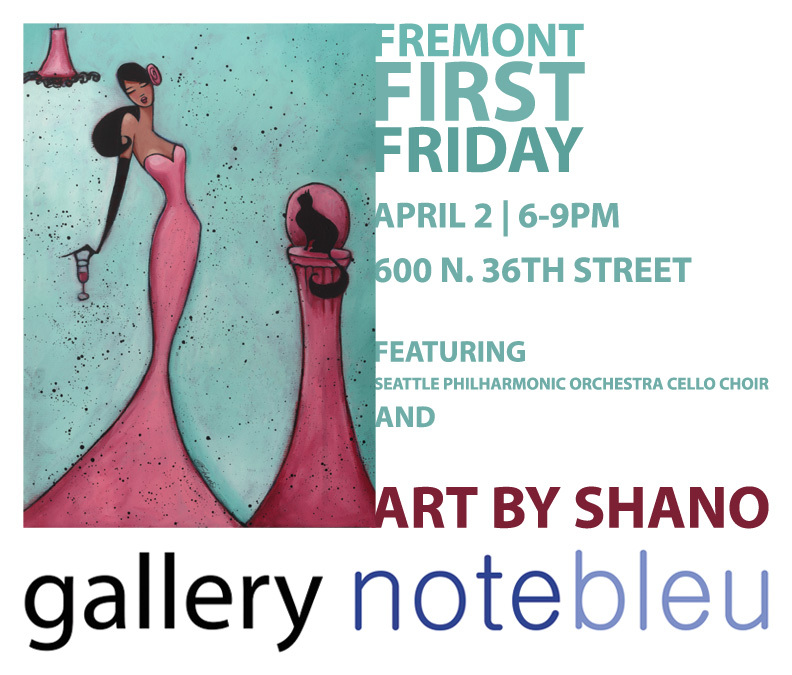 Let's start with if you're in the Fremont area of Seattle. 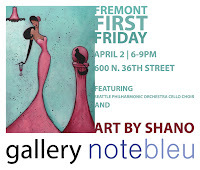 My work can be seen in the Fremont Space until April 30th. Meanwhile, I will have work in the Seagrass Gallery for the Mother's Day tour on Camano Island, WA (natch). 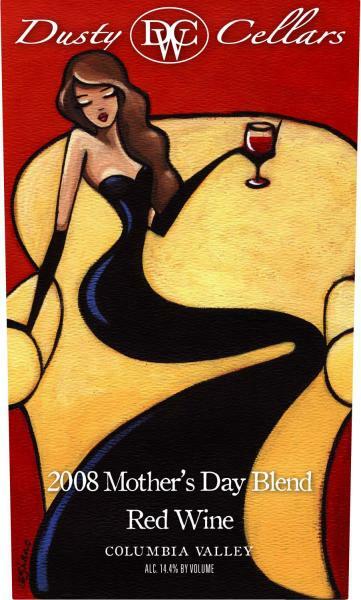 And making me giddy with anticipation is the Special Mother's Day Blend by Dusty Cellars Winery featuring the art of yours truly. 14.4% alcohol yo. And so far, they haven't produced a red that I haven't absolutely LOVED. Next up . . . The clothing and accessories line. But I'll save that for next week. Want to be in the know, and probably receive a little TMI? Join me on Facebook or Twitter. ohh my gawd!! i totally totally love ur art works!!... seriously awesome..